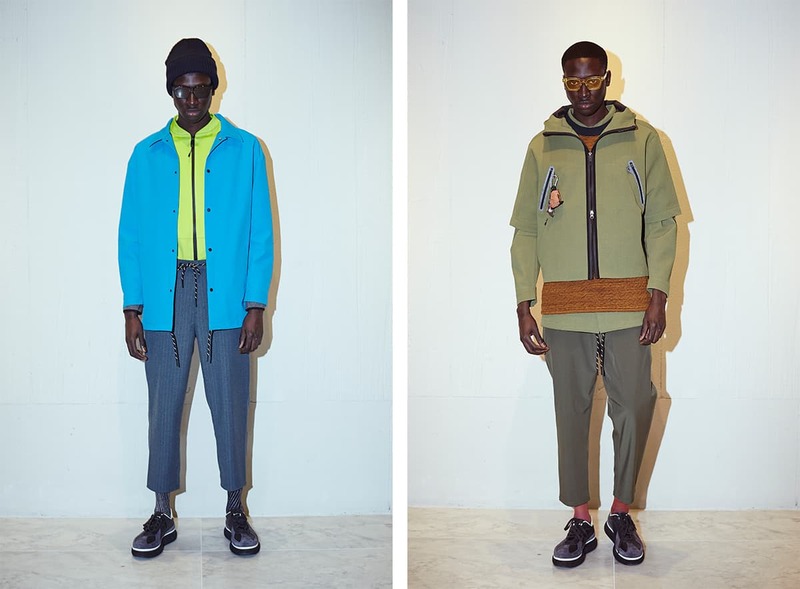 American technical sportswear brand DYNE debuted its fall/winter ‘19 ready-to-wear collection during New York Fashion Week Men’s in New York on Tuesday. 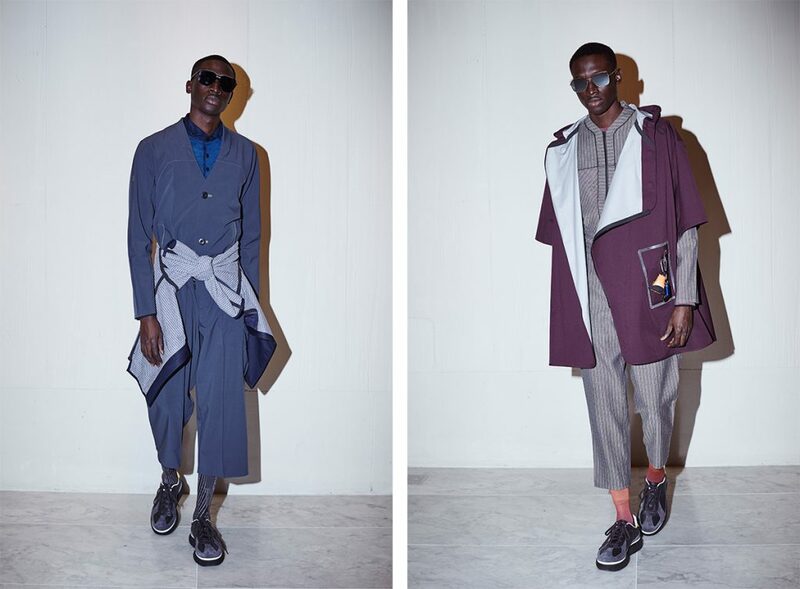 This season DYNE partnered with the Fashion Institution of Technology where the presentation took place at the school’s Pomerantz Gallery and will continue as an installation through February 7 that is open to the public. DYNE also partnered with Swarovski for a small capsule collection featuring the Renzo Crew Top. The latest collection stays true to the brand’s technical sport-inspired roots elevating the materials through texture, color, and sustainability. DYNE’s new partnership with Sabrina, a state-of-the-art Taiwanese manufacturer that is leading in sustainability allowed DYNE to create sustainable fabrics, which was a key focus for this collection. Such fabrics included water-resistant membrane over combed yak fur and fabrics created with upcycled and recycled properties. The collection also features weatherproof styles by incorporating quilting methods and fabrics that are textured waterproof and water resistant. Other key elements included; the silhouette that is a DYNE signature–the Renzo Pant, and the Coelho Aviator, a mix of textures and finishes. Styles embedded with NFC chips displaying DYNE’s supply chain and fabric sourcing amongst other discoveries. The color palette was a mix of bright neons, olive, heather green, and grey, on silhouettes that were rugged, yet functional. The continued use of face masks to style these pieces were made from recycled tech “junk,” all hand made by the design team. 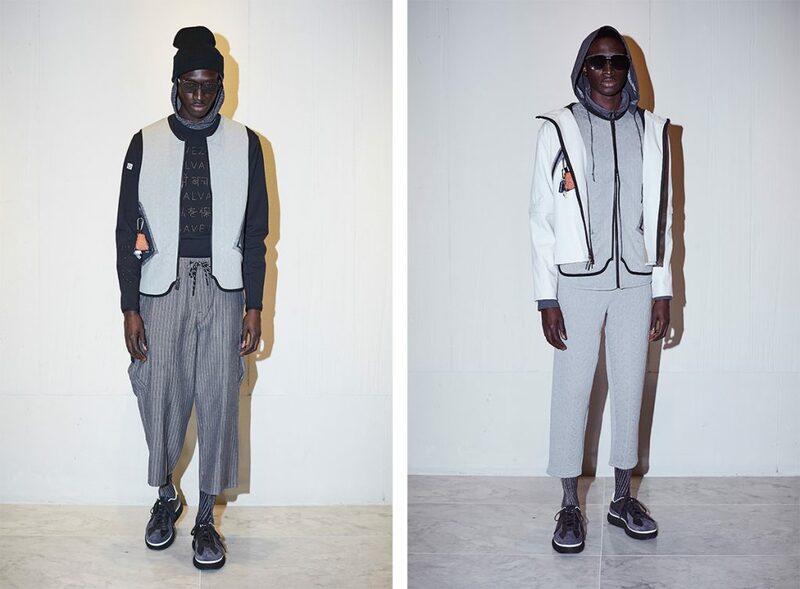 Looks were completed with footwear by Onitsuka Tiger and styling led by Eugene Tong. The DYNE x Swarovski partnership came about in sharing common ground as both brands aspire to bring awareness to sustainability. The result: a four-piece capsule collection made by hand using crystal pieces. The shirts use multiple languages to bring a sense of community– something that has been a pillar of the DYNE DNA from its inception. In highlighting DYNE’s “Hero” piece, the Renzo Crew Top, speaks to the climate of the global predicaments we are all experiencing. With the phrase, “Save Us” demonstrated in 7 different languages (one being braille) in Swarovski’s cabochon pearls.